If you are selling or renovating a house, it is inevitable that there will be a lot of unwanted material (old carpets, broken furniture and so on) which you need to get rid of. The usual household facilities for refuse disposal and recycling are not going to be adequate for this quantity, so you are faced with two choices; to engage a firm specialising in house clearance, who will take charge of the whole operation, or alternatively to hire a skip and do the job yourself, which is cheaper. Your local telephone directly will list plenty of skip hire firms. Friends and neighbours who have recently moved or refurbished will probably be able to advise you from their own experience. There are national specialists who advertise widely. An internet search will point you towards companies that can be booked and paid for online. If the space in front of your house is restricted, or you have a narrow approach road, a full-size skip may not be an option. Skips are very large, and so are the lorries that deliver and collect them. 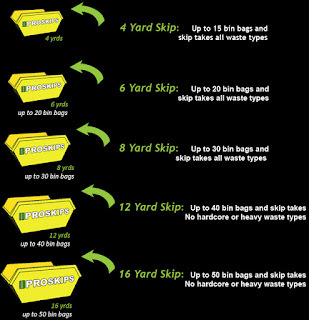 However, smaller skips are available, and this may be an option; you can shop around to find a firm that can meet your needs. It is best to put the skip on your own property if possible, but if there is no room it is quite usual for it to be positioned on the road outside. This requires a permit from the local council, but the procedure for applying is not complicated, and the skip firm may be prepared to do it for you. Various kinds of hazardous waste such as paints and solvents are not permitted in skips, and neither are tyres and electrical items. You will get a full list from the skip hirers. There are other ways of disposing of these things, on which the local council will advise. It is quite hard and messy work to load everything into the skip, and you might want to seek help from neighbours and friends. The other chief disadvantage is the fact that many of your neighbours may view your skip as a public facility, and will either load it up with their own rubbish or dive in to search for salvageable items. Some skips have lids to prevent this. 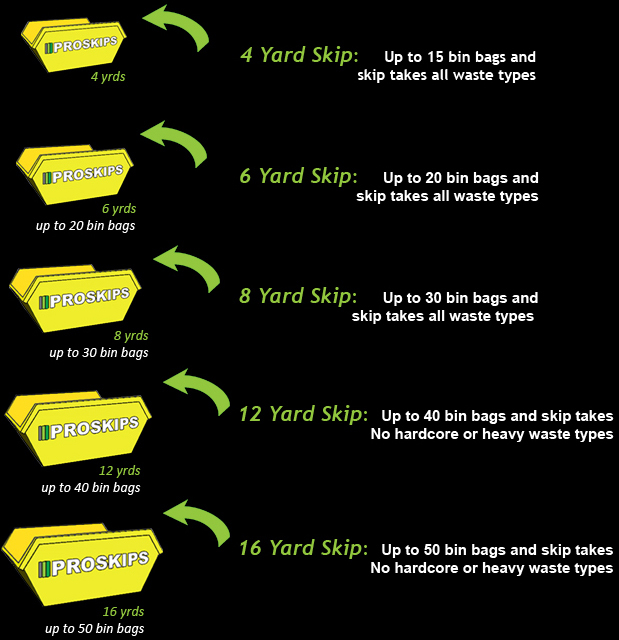 The use of a skip is an environmentally sound way of dealing with unwanted household items. The firm's employees will sort through the contents and recycle wherever possible; as much as ninety per cent will be dealt with this way, which is a much higher proportion than usual domestic collections. After the skip has been lifted onto its lorry, the skip firm employees will be responsible for clearing up any litter and tidying up the site. There should be nothing left for the householder to do. Wasp colony sizes vary from species to species, but can contain up to two or three-thousand worker wasps. The queen will carry on laying eggs, if conditions are right, and the wasp colony will continue to increase in size. After the wasp larvae hatch in August or September, the colony is disbanded. This is when the trouble really starts. Not only do the workers not have the sweet larvae secretions to feed on any longer, but the new batch of youngsters is also released on the world. There are no larvae needing attention and care so the young queens and males buzz about with nothing to do. This is when they can start to wreak havoc. If a wasp comes near you, try not to panic, stay still and calm. It is the sting which worries humans as it is not only painful but some people can be highly allergic to them. We are so afraid of them because they are capable of delivering multiple stings, whereas bees will die after delivering their one sting. The nervous system is attacked by the venom; causing pain to larger creatures and paralysis to smaller ones. By paralysing their prey, wasps find it easier to carry them back to their nests. People are not the only ones who are bothered by wasps. Bees feed off pollen while wasps' nutrition comes from smaller insects; therefore the two do not normally spend much time together. Towards the end of summer, frustrated bee-keepers complain of wasps stealing honey from their bee-hives. They seek honey avidly, particularly in summer. The bees try to defend their hives but usually lose. The hungry wasps dismember the bees and can often eradicate a whole colony. Although not visible to human eyes, wasps play a vital part in the natural food chain. They control pests. Say there is a caterpillar infestation in your cabbage patch, a wasp will find those caterpillars and eat every last one. Something which is a nuisance for you, is food for a wasp, so this is actually a perfect partnership. 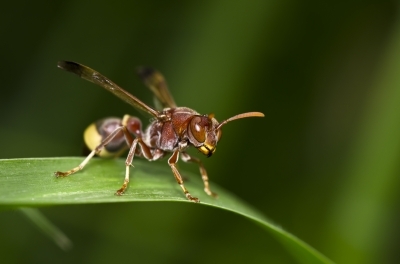 A wasp nest which is in your garden, however, can be a very big, dangerous problem. If it is found in a shed or an area where children might play then professional exterminators should be called to remove it. Although, if the nest is in the attic and you can locate their entry way, you could wait until winter in order to remove the nest safely. By this time, most of the males will have died and the egg-laden queen will have gone into hibernation somewhere else. Each wasp colony produces thousands of queens. However, during the winter, almost all of them will die off from natural causes. Wasps like to nest in dry places like hollow trees or bird boxes but these are few and far between. 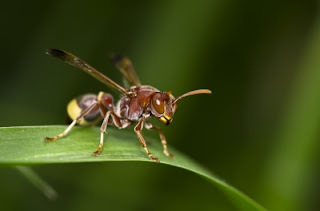 Therefore, while wasp number do go up and down each year, they are not likely to suddenly shoot up because there simply aren't enough nesting places for them. Do you need any help getting rid of wasps? Get in touch with Envirosafe Pest Control, can help you! London's West End is known as the lively heart of the city with numerous historical buildings and theatres. Soho, Chinatown, Bloomsbury and Fitzrovia are situated there. Many businesses decide to operate there because of the numerous entertainment facilities and restaurants. Chinatown has its own important part in London's history, which originates back in time from the Far East. 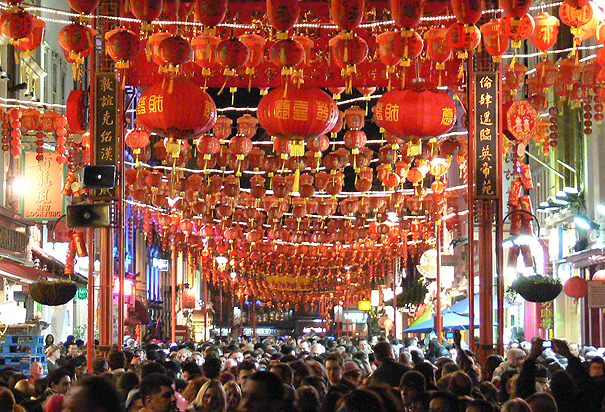 Many Chinese businesses have opened and flourished in Chinatown since the 1950s. The first Chinese people to appear in East London were sailors, employees of the East India Company. Even though most of the sailors were living in China, some of them decided to move to Limehouse in 18th century. With them, other Chinese entrepreneurs moved and opened businesses to serve their needs. By 1914, several hundred Chinese were living in the area and around 30 businesses were created. The period after the war was difficult for the Chinese people living in Limehouse. The British shipping industry and the area itself were destroyed. The government introduced new union rules, which made it practically impossible for British shipping companies to hire foreign people. 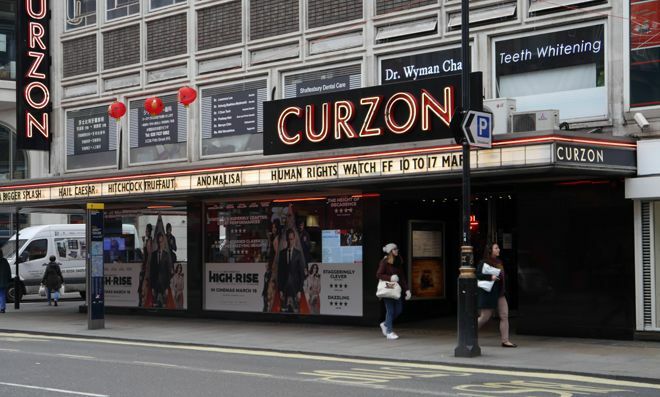 Chinese people in London were n danger of losing their income and home. Returning British soldiers from the Far East exposed great interest in the Chinese cuisine. That was a favourable opportunity for the Chinese people, who opened numerous Chinese restaurants on Gerrard Street. The location was chosen because of its reputation of being a place for non-traditional cuisines. The success of the Chinese restaurants attracted the attention of more entrepreneurs, who opened various businesses in the area. That was the birth of London's Chinatown. The location of London's Chinatown has a marvellous history, dating back in the year of the Great Fire (1666) in which the London area was destroyed. In a century or so after the fire, the area had recovered and grown to be known as a lively place. French immigrants made the upstairs floor of the market hall into 'The Butcher Church'. The Turk's Head inn was established and quickly became a preferred place by intellectual and political personnel for discussion of recent hot topics. Gerrard Street became a well-known artistic place where many famous painters, metal workers and writers gathered. Until the 1880s, the Newport Market area used to be perceived by the local population as an area of 'criminal slum'. However, the establishment of some new businesses changed its reputation. On 43 Gerrard Street club 43 opened, and in the basement on 39 Gerrard Street, Ronnie Scott opened his first jazz club. When the Chinese people started coming to the area, it had already been known for the good nightlife and the low commercial rents. Chinatown had become the center of London's Chinese communities by the 1960s. Many Chinese people were relocating from Hong Kong to the West End of London. New Chinese services and businesses developed in the region. A Chinese travel agency and a Chinese supermarket opened. The success of the London's Chinatown was marked by the construction of the Chinese gates, the Pavillion and traditional permanent street furniture. The Wimbledon Tennis Tournament is one of the main events every summer. It’s an event which attracts celebrities and ordinary people alike. Every year, Tennis fans mark the date on their calendars, awaiting the day Wimbledon finally comes. In fact, larger corporations offer hospitality to their clients. Plus, the roof has been recently redeveloped. This was due to erratic weather they wanted to avoid. The Royal Bank of Scotland is normally one of the many corporations which offer corporate hospitality. The reason for the cancellation of corporate hospitality is the company feels it would be inappropriate. This is because of the recent IT meltdown the corporation suffered, which limited a lot customer’s access to their money This is completely understandable because as a company they need to be on top of this crisis. Celebrity sightings are one of the most amazing things about Wimbledon. And, for the last couple of years, the infamous author JK Rowling was seen often. Recently, she was at day two of the grand slam tournament in South-West London. Other notable celebrities, which have been seen, are Prince Michael of Kent and Wimbledon Chairman Philip Brook, who both attended the All England club at Wimbledon. Princess Eugenie was also spotted at the 2012 tournament, and she was easily spotted because of what she was wearing. The Princess wore a red dress, a blue blazer, and carried a bowling bag. Plus, the Duchess of Cambridge is said to attend the event later this week. It’s speculated the Duchess will arrive with her mother, Carole Middleton; possibly even her sister Pippa. Although Wimbledon is famous for tennis, the area is also a national landmark. In fact, in the 16th century, Sir Thomas Cecil settled down there, after Elizabeth I granted him the land. Cecil then went on to improve the road to London and then built the Wimbledon Manor House. It’s at this house the future Monarchy officials would stay as guests. Wimbledon is an historic area. For example, many prominent merchants, like Robert Bell of the East India Company, used to ride to the area on horseback. Famous families like the Churchills and the Spencers found a new home in Wimbledon. And, because of the big names living in the area, Wimbledon became very famous. It’s the main reason the area became so influential and because of tennis Wimbledon has continued to be an area we all know by name. A lot of the most sought-after properties are found in Wimbledon. Properties like modernized Victorian and Edwardian family houses are among the most sought-after properties. Most of the people who inhabit these properties are people who work in the city. With the great London trains, getting to work is an easy task. Plus, a lot of top-end private and state schools are in the area. For this reason, Wimbledon is very popular among families. Wimbledon also has an enjoyable atmosphere, spectacular amenities, and great public transportation options. 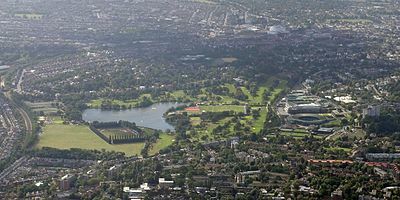 Beauty is the main selling point with Wimbledon because it’s surrounded by a green environment. Always keep the financiers in the loop on your intentions. You may actually require their input in drafting up an agreement with the future clients. Depending on the company, you may require to include some information on the tenancy agreement that reflects the situation of your mortgage. Supposing you are also a tenant, and want to sublet, ensure that the agreement you have with the owner allows this. Check it and see if there is any clause or condition set for such occasions. If they are unclear, get in touch with the owner and inform them of your intention. Get an official confirmation of consent. It is important then to remember that you have to go through your policy and find out if it also includes tenants and their belongings. Also ensure that you get in touch with your insurance agency and inform them of your intention to lease or rent the property. It may call for you to revise the policy to include the additions or it's just a matter of updating your agents in order to be covered. Bills and service fees should be paid in time. It is your duty to put in place a system to ensure they are paid in time. Most institutions have facilities in which once the account receives money, it debits the given account automatically. The tenants are liable to taxation. As the landlord, notify the authorities of the change of payers and right details. In case the house is vacated, the landlord bears the charges. There is a difference in paying the taxes in that furnished houses are charged 50% of the amount after being vacated while a totally empty house is charged the same only after staying empty for 6 months and then is charged the same rate. Records come in handy when you require repairing, renovating or charging for a particular item. Keep updated records of the house condition and its belongings. Ensure that with the tenants knows the condition before they move in and should leave them exactly the same way. All landlords are obligated to pay income taxes by law. Even for non residents, unless you are exempted, in which case you require a certificate to prove it, you should ensure your agents pay it quarterly. According to these regulations, regular inspections should be done in all tenant houses and a bill of health certificate issued, a copy of which remains with the tenant. This should be done by a certified engineer. The regulations published in 1994 also require regular physical inspections of the electrical appliances by a certified professional to ensure safety. Are you planning to move to the province of Soho? Then you may surely want to learn about the nightlife, choice of activities, entertainment, and other facilities in Soho. Here are a number of important tips and information for all those seeking information about Soho. To know more about this diverse province before moving here is certainly a great option. Soho is one of those wealthiest and vibrant locations that have more choices of activities and attractions than you have ever anticipated. Soho boasts a pulsating nightlife scene, perfect for young adults. For decades, the county is renowned as a popular nightlife hub especially among the tourists and those hedonists who come to London just to experience that ultimately enjoyable nightlife. With a wide choice of pubs, nightclubs, and a chain of restaurants, this province offers plenty activity choices to every taste. 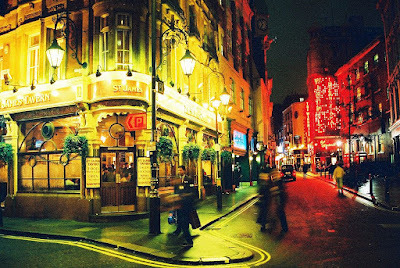 Once the sun sets, Soho becomes a vivacious setting for the party lovers to indulge in. You may start your night tour with a fabulous dining experience at a fine-dining restaurant; or else, visit lively cocktail bar venues including the most popular ones such as the Barrio Central, Milk & Honey, Amuse Bouche, and the Mark’s bar. Come with your entire group of friends as there is much more to see and do here. 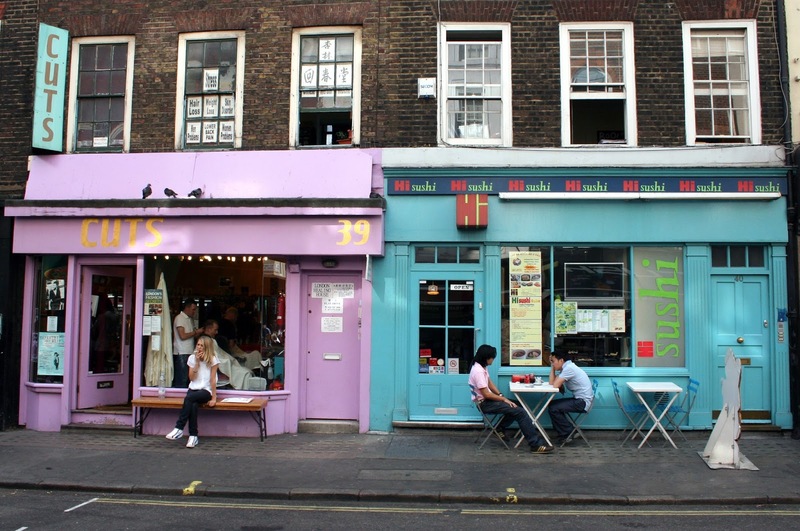 Soho offers plenty of fun options for you and your family including some excellent shopping and hangout joints. Explore the amazing Kingly Street in Soho that boasts a wide selection of fashion stores, restaurants, night clubs, and coffee shops. Why not tour across the famous Beak Street and browse through the upscale fashion outlets or visit Greek Street to experience the vibrant vibe that the area is known for. In case, you are interested in a friendly venue to chill out in, then Dean Street is the place for you. 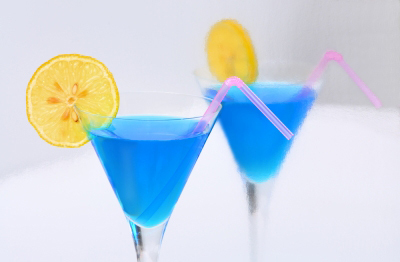 Here you can also enjoy some cheap drinks along with an array of activities. Apart from the province’s wide choice of sightseeing and colourful nightlife, there are also a number of things to experience here. Explore the variety of entertainment choices that Soho has to offer for its residents and tourists. If you love country music and musicals, then check out some popular musicals in Soho including the Singin’ in the Rain, Ghost the Musical, The Ladykillers or the Les Miserables. Keep checking the event calendar as the list of musicals change very often. If you wish, you can also watch some amazing comedy shows at the Soho Theatre. Unquestionably, there are unlimited things to do in Soho, especially for all those music enthusiasts. You may never want to miss enjoying some delicious breakfast at any of the lavish eateries in Soho. Whether you want to start the day with a healthy breakfast or just want to enjoy a hearty alternative, there are a number of venues in Soho to choose from. Visit Dean Street Townhouse in the morning to enjoy a scrumptious breakfast in this upscale restaurant. Try something new at the Dishoom Bombay café that serves some delectable South Asian breakfast varieties. The Kopapa eatery is also a great choice to enjoy some delicious breakfasts. When evaluating flats for rent in England, London's West End has consistently come to the forefront for the amenities and the atmosphere. Potential renters looking for flats for rent in Covent Garden will find excellent properties that are carefully tended by property owners. The rental market is strong in this neighbourhood due to the good reputation of the area. Covent Garden flats for rent vary in price according to size and type of rental. Flats on a short let basis are common and a perfect way to check out Covent Gardens without a long term commitment. Most flat renters decide to stay on long term in Covent Garden once they experience its ambiance and amenities. Renovations of buildings are generating more apartments for let. In 1973 the main fruit and vegetable markets that supplied the country were not practical in this part of London; so it was moved to Nine Elms. Empty buildings and many vacant premises were the result. Local residents carried out a successful campaign to have all these vacancies renovated and the market building became an amazing area for shoppers and niche businesses. This mass exodus in 1973 enabled a mass renovation that makes flats in Covent Garden a product of an astonishing transformation, mixing classic architecture with modern accoutrements. Exercise buffs will find the Covent Garden area a mecca of gyms and dance studios. Swimming, aerobics, squash courts, dancing classes, saunas and steam rooms are all in easy travel from a flat rental in Covent Garden. Those looking for rest, relaxation and exercise would be wise to check out flats for rent in Covent Garden to be close to all these amenities. Opera lovers and ballet buffs will have the Royal Opera House right close by to see their favourite performances. The English National Opera is located in Covent Garden as well as the Sadler's Wells Theatre for ballet. They offer the fan of ballet and opera so many choices to enjoy their favourite shows. Traditional English pubs are known the world over. 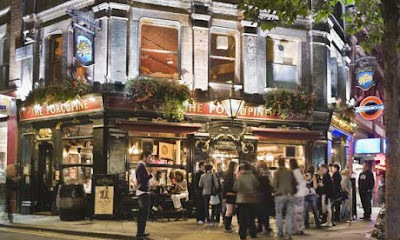 The traditional English pub that serves Pub Fayre food is an experience not to be missed; and Covent Garden has many options when it comes to this type of food. The accompanying atmosphere makes this experience truly a grand one. There are cafes and restaurants whose menus run the gamut of international cuisine. 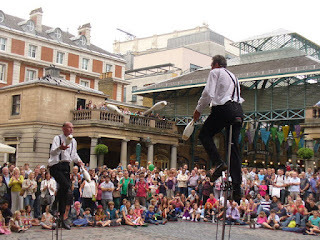 Covent Garden flats for rent give close proximity to these delicious amenities. If you are looking to relocate to England near London or wish to visit, you might want to check out Kingston. Just south west of London lies this very quaint and unique suburb. You might find this to be a perfect place for you. Along the River Thames, it is an ideal location for the tourist or resident. The Saxon Coronation once thrived here. Now, however, it has become a bustling metropolitan area. Within a short distance, there is a great number of interesting attractions for one to explore. If you like the benefits of city living, but don’t like the stresses of it, Kingston might suit your fancy. A short commute away is the city of London so you won’t have to miss out on a thing. Kingston itself is an ancient market town. Before deciding to relocate, it might be best to visit Kingston so you can explore its finest. You can ogle over the Tudor-beamed houses along the way as well as the local museums, grand parks and lively atmosphere. The best time to visit Kingston is in the summertime. You can relish the fine dining experience in one of the restaurants, pubs or cafes along the banks of the River Thames. One of the annual summertime highlights is the regatta. While you enjoy scrumptious food, you can also watch the array of boats floating along the river. After your pleasant meal, you might want to take a leisurely stroll. You can find true peace along the walkways of one of the spectacular parks. Richmond Park, Bushy Park, and Wimbledon Common are just to name a few in which you can visit. If shopping is your thing, you can spend a full day excursion. 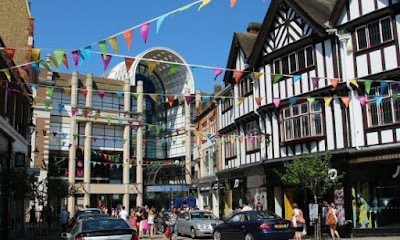 You can experience on of the many boutiques or high street chains as you meander throughout the town of Kingston. No need to worry about how you might get around. Nearby on Oxford Street, you will transportation easily accessible. You will never find the atmosphere in Kingston to be stuffy. With the local university bringing in a large student population to the area, youthfulness abounds. There is an exceptionally intriguing nightlife to be found. Those who have children won’t find themselves bored in Kingston, either. You can bring your young ones to be enriched with a bit of the area’s rich history at the Kingston Museum. If it is high adventure that they want, take them to the Chessington World of Adventures or Thorpe Park where they can soar on the roller coaster or enjoy other activities. Many great attractions for whatever you enjoy lie not far from the town centre. One of the highly regarded main attractions that Kingston offers is the country estate of Henry VIII. At Hampton Court, you can wander about the many beautiful gardens. You can ever find yourself lost amongst the magnificent maze. 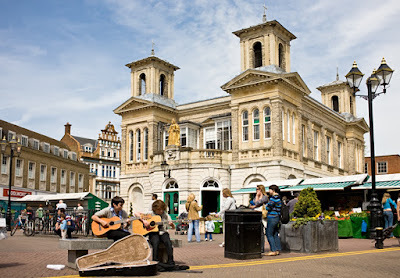 Kingston offers one who wants to relocate near London a perfect place to reside. It is full of great historical value. This is where old meets new. South London holds one of the largest green spaces around. The peaceful and tranquil Commons that are amidst the sprawls of Wimbledon, Putney, and Kingston upon Thames are located in South-West London area. Comprised of 460 hectares, which equals 1,140 acres, Putney Lower Common, Wimbledon Common, and Putney Heath are between the green areas. 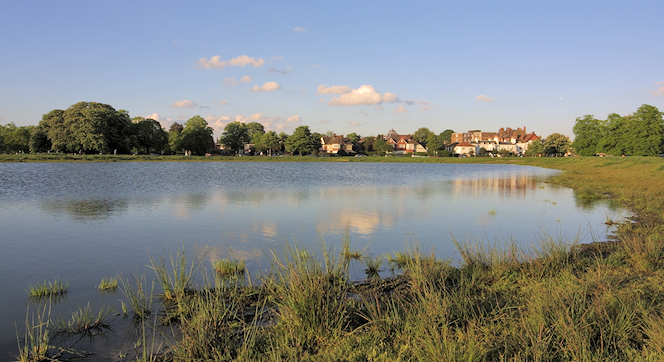 Putney Lower Common is the only part of the Commons separated by 1.5miles of land because of the Special Area of Conservation, and the Site of Special Scientific Interest. Between Putney Lower Common and the rest of the commons there are around 360 hectares (900 acres) of land. The Commons include areas of mown recreation areas, scrubland, woodlands, and heathland. The lands are home to nine ponds, a vast assortment of birds, plant life, and animal habitat. The Commons is an unfenced area so the area is open 24 hours a day throughout the given year. There are approximately 10,000 visitors and users who come to the Commons on any given weekend that weather permits. Within the Commons is an 18-hole golf course that two clubs use for their enjoyment. What’s more, the Commons include 16 miles of horse riding areas, cricket pitches, and the Richardson Evans Memorial Playing Fields that covers 20 hectares or 48 acres. These playing fields provide soccer and rugby pitches for the winter months and facilities for athletics during the summer months for those who are sporty. Included on the grounds is a pavilion that contains toilets, showers, and 16 changing rooms. Since April 1, 1991, a levy has financed the Commons. The levy is part of Boroughs from Kingston, Wandsworth, and Merton. This levy is a fraction of the Council Tax that is significant to how many properties are in each of the Boroughs that surrounds the Commons by ¾ miles or in the dated Parish of Putney. Patrolled from dusk to dawn by foot keepers and mounted police, the Commons Ranger’s Office and the Duty Officer are in constant radio contact with each other. The Maintenance staff routinely maintains the land and buildings that make up the Commons. The buildings that comprise the Commons are a Café, the Pavilion, 16 staff cottages, Stables, Maintenance Centre, Information Centre, the Ranger’s Office, and the museum, which was once a Windmill. Wimbledon Common was the home of the Wombles. Providing a relaxing and quiet day out, the woodlands, the lake, the windmill, and the tearoom make up parts of the Common. For the more active spectators, Wimbledon Park provides playing fields, tennis courts, mini golf, and water sports. In the crowded summer months, Britain’s own Wimbledon has a great many parks, and gorgeous, lush, green, open areas to walk around the Commons. If needed, you can find any type of accommodation imaginable within the confines of Wimbledon. Even in the economic climate that has hit London, the housing market remains steady. The village includes custom built mansions and penthouses, while South Wimbledon is home to housing estates, maisonettes, and tower blocks. Wimbledon is one of the nicest areas of London with these large, luxurious, green spaces available. With years of property experience in Wimbledon we have an impressive selection of first class properties.Visit Robert Holmes to browse our complete list of properties, we are confident you will find what you are looking for.